After two very successful Indiegogo campaigns and recognitions from CESA Awards and Google Campus Warsaw, Vitastiq has just released Vitastiq 2, its Bluetooth edition device. 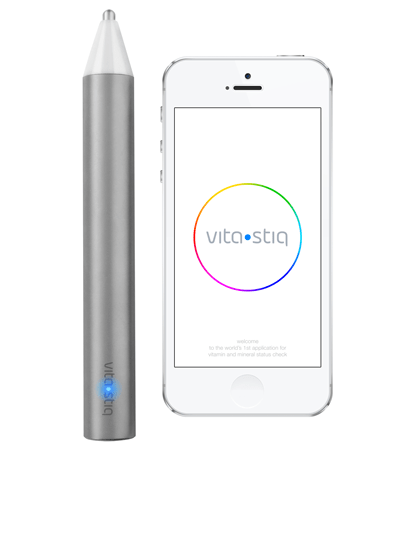 Vitastiq 2 pairs with a smartphone or tablet enabling users to track the trend of 26 vitamins and minerals. Meanwhile, the Vitastiq app (Android and iOS) stores the previous readings and provides information about vitamins and minerals and their natural sources. Vitastiq concept is based on Electroacupuncture by dr. Voll (EAV) and the existing EAV devices. The EAV methodology has been used for over 50 years by nutritionists and other experts. As of now, Vitastiq has users in over 90 countries around the world. It received the CESA Award for the Best User Experience in 2015 and 2016; it has been recognised as the best start-up at the Google Campus Warsaw workshop and featured in the global media outlets such as T3 UK, TechCrunch, Wired, The Huffington Post, Venture Beat, CNET, and the like. You can import the Vitastiq 2, for now, from the European store. https://shop.vitastiq.com/ A UK release is upcoming.